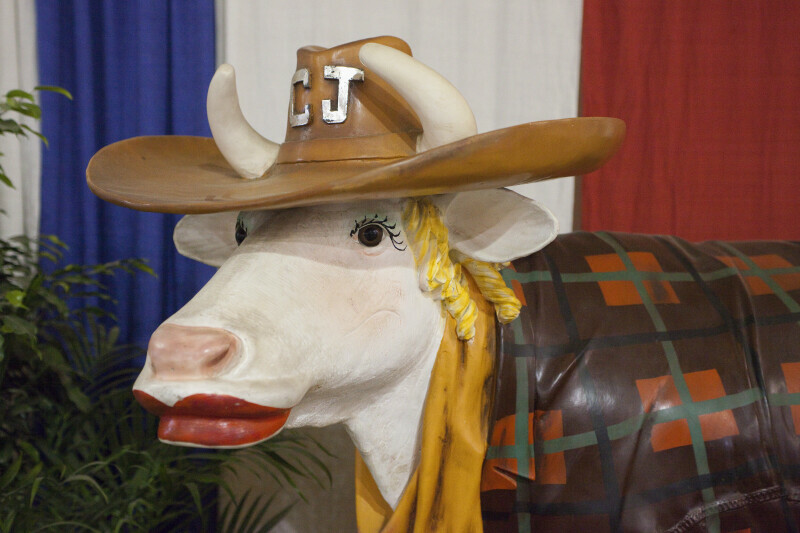 A cow (Bos primigenius) statue that is wearing red lipstick, a cowboy hat, and a coat. This photo was taken at the Florida State Fairgrounds. WARNING: You are about to download a 49.6 MB TIFF!